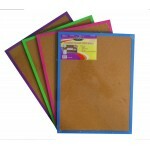 Cork Bulletin Board $4.48 Each. 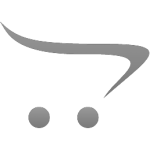 Measurements: 17"x 23" Cork bulletin board with mounting hardware.Case of 20..
Use for building, mixing, spreading paste and creating craft projects.Versatile natural wood craft s.. 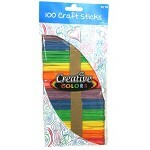 Craft Sticks Colored $0.95 Each. 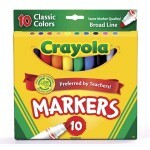 Crayola Broad Marker quality standards are based on four criteria: color quality, performance, packa..
Crayola Color Pencils 12 ct. $1.85 Each. 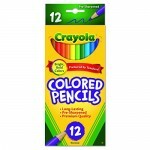 Crayola color pencils are pre-sharpened and provide smooth, even coverage in bright vibrant colors. 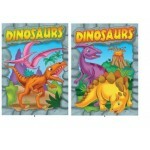 ..
Crayola Crayons 16 ct. $0.95 Each. 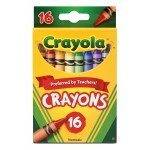 16 ct. Crayola Crayons are the classic kids' art tool. 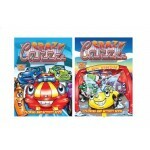 They are the colors generations have grown up..
Crayola Crayons 24 ct. $1.19 Each. 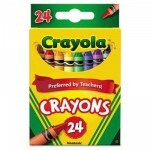 24 ct. Crayola Crayons are the classic kids' art tool. They are the colours generations have grown u..
96 Pages of Coloring & ActivitiesCase of 48..
96 Pages of Crossword PuzzlesCase of 48.. 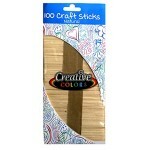 Designer #2 Pencils $0.80 Each. 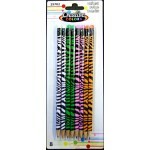 Animal Print Pencils, 8 count , Pre-sharpened Case of 48..
17" x 22" Blotter Case of 36..
96 Pages of Coloring & Activities.Case of 48..
Dry Erase Assorted Markers w/ Eraser $2.49 Each. 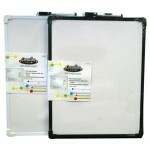 Dry Erase Markers with Large Eraser combo.This is a great item to donate to your child's school teac..
Dry Erase Board w/ Marker $1.25 Each. 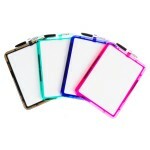 Measurements: 8.5" x 11" Comes with:1 markermagnet mountCase of 48..
Dry Erase Boards $1.89 Each. 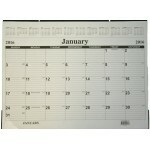 Measurements: 11"x14" Comes with:1 markerCase of 24..
Dry Erase Broad Chisel Tip Marker $0.25 Each. 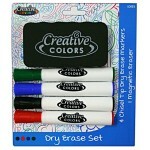 Dry erase markers in bulk available now in our line of school supplies KOOL TOOLZ. 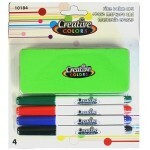 These ..
4 Basic Colors with magnetic large eraser. 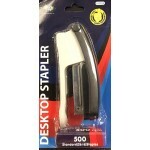 Your students teacher will love you for giving them this .. 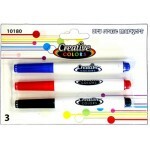 The perfect accessory for your dry erase board.Colors: Black, Blue, RedFine Tip3 packCase of 48..